When people know you try to help cats, they like to tell you all about the cats that they see. My friends, The Cell Phones, grabbed my attention because they said all the magic words: cats, alley, vacant lot, junkyard, and their neighbor feeds them. Well, really, The Cell Phones FIRST grabbed my attention because they are an incredible band and I am happy to have gotten to know them personally, and am now happy to know they are such caring people to boot. I needed to see these cats for myself, and as soon as I got there, I saw this one. He’s supposed to be the head of the colony, which is now called The Cell Phones Colony. His name is Sprint. I got eartip. You got food? 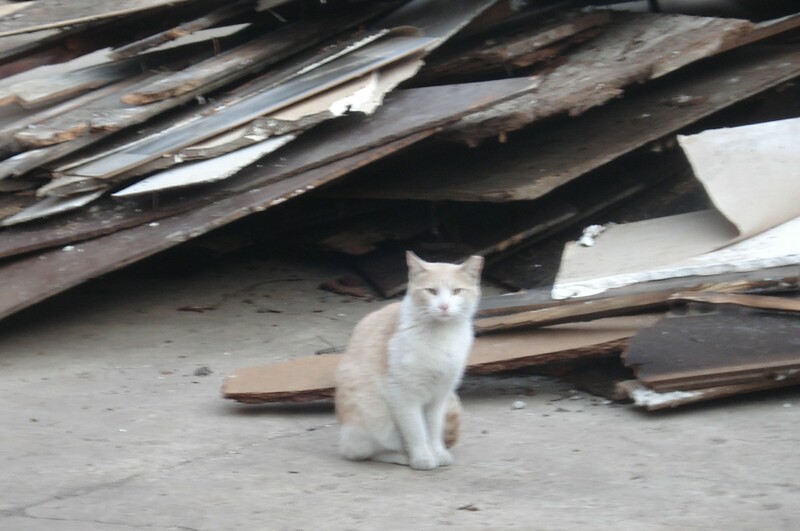 It sounds like some people leave food out for them on a concrete slab in one of the empty lots, but they are also being responsible for the TNR part, which made my day. TNR is obviously becoming more and more common, as it is the proven, most humane way to control the over-population of feral cats. Can you eartip me now? He’s not eartipped, but according to one of the building’s tenants, he belongs to someone there. His name is Nextel because he’s going to be fixed next if he’s not already. We’ll be taking a closer look at this neighborhood in the future. Great blog, Erica! I’ve added it to the blogroll. 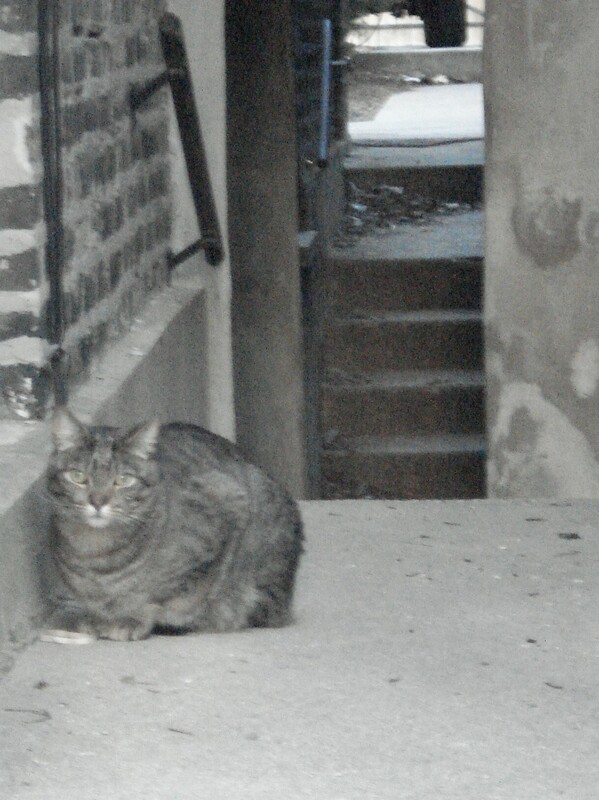 We’re neighbors – we should join feline forces one day. Yes I hope to meet you sometime. I have gotten a little more involved in helping other Tree House TNRers do some trapping and also outreach to get the word out on the new donation for the 2 zip codes. The Petsmart grant expired but there is a new private donation to keep the 60647/51 program going!! !